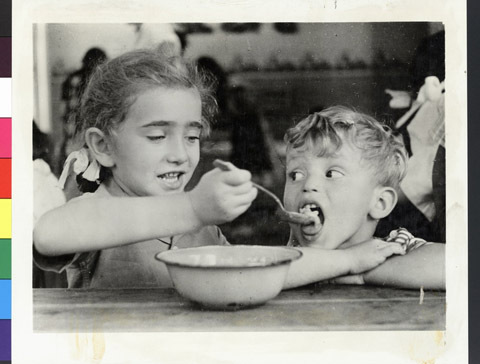 JDC - Archives : Young girl feeding her brother in the Louise Wise Children's home. Title Young girl feeding her brother in the Louise Wise Children's home. Description A young girl feeding her brother in the Louise Wise Children's home in Budapest, supported by JDC.